In spite of a loud outcry, Winifred Agimelen and her three children have been sent back to Nigeria after living in Montreal for six years. 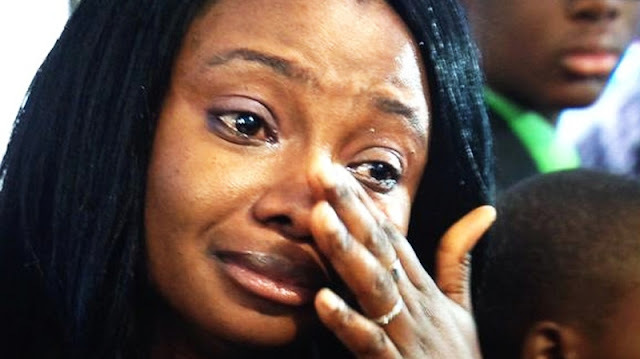 The Canadian government deportation of Winifred Agimelen and her three children to Nigeria Sunday night hit a temporary snag, as it turned out that the mother did not have a necessary Nigerian visa for her third child, who is Canadian. In spite of the visa issue, the family of four boarded a plane out of Montreal. Agimelen's current husband is a landed immigrant who lives here, but he does not have official custody rights for the Canadian child. Protesters are decrying the forced deportation, as the order to leave stems from a complicated maze of immigration procedures that will divide the family and possibly subject them to danger in West Africa. The three children were fathered by her ex-husband. The third was conceived in Nigeria but born in Canada. Agimelen fled Nigeria after her first husband disappeared, possibly killed by people his father owed money to. She was kidnapped with her children and her daughter was threatened with genital mutilation as part of that affair. She arrived in Montreal six years ago. The traumatic experience is believed to have the caused psychological damage to her eldest child and led her to flee to Canada. The woman's lawyer worries that the child will not develop well in Africa. A distraught Agimelen told CTV Montreal that the expulsion and separation from her husband will be very challenging. “Mostly I’m worried about the safety of my children because there is so much violence in Nigeria. There’s news about kidnapping children in Nigeria. There’s Boko Haram and Ebola in Nigeria, it gives me so much fear for me and my children,” she said. She says she has no place to stay in Nigeria and fears she will be targeted. She can’t return to her hometown because she was subject to violence there, she explained. Agimelen initially filed to stay in Canada as a refugee but has since married a man with landed resident status. He was deemed to be four months short of being permitted to sponsor Agimelen as his wife. Last Friday Potvin applied for a five month extension to allow Agimelen’s immigration application to be administered without her being forced to go to Nigeria, but it was denied. Potvin says that the change of a single word in the rules has prevented the Canadian Border Services Agency from allowing the family to stay together, based on the difficulties it will pose to the eldest child. “One child has PTSD from this kidnapping in Nigeria and there’s jurisprudence that says this constitutes a ‘special circumstance’ but there was a subtle change made in the act. It used to say that someone could be removed as soon as 'practicable' but now it says 'as soon as possible,’” she said.